A timeless design in a timeless fabric. So, the story starts with my "need" to find a different kitchen table. Our IKEA table was getting chipped and worn and was looking more shabby than chic. 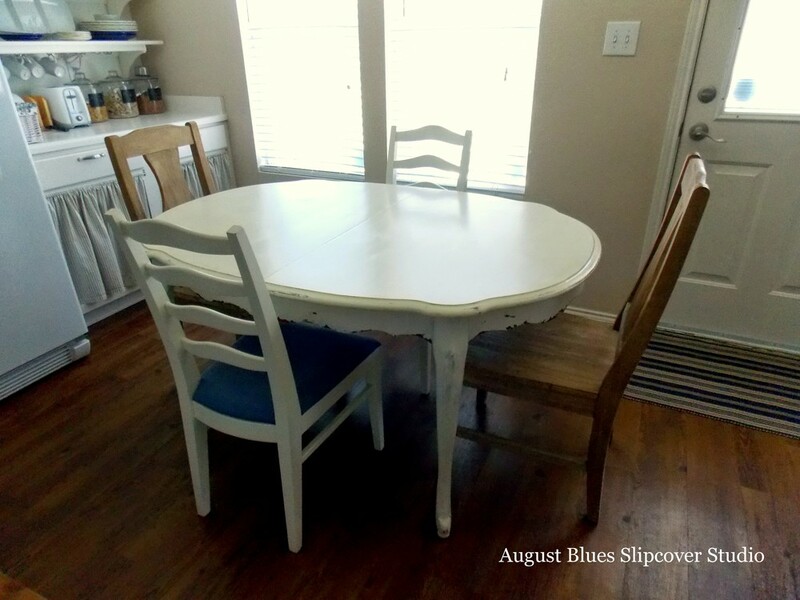 I was trolling Craigslist on a regular basis and happily found a "new" table - a vintage-ish curvy French style for... $15!!! And the size was just a little better fit for our space. My plan was to paint and distress it. I had been hearing a lot about milk paint, so I thought this would be a great opportunity to try it out. My first project turned out quite well, so I anticipated similar results. Well, if you have read anything about milk paint, you will know that it can be a little unpredictable. I opted not to use a bonding agent, since I wanted a chippy look. Well, the legs and skirt of the table turned out about like I was hoping - a little chippy, and easily distressed where I wanted it. I finished them with wax, and then flipped the table over to start on the top. And that's where the project started to go south. I did two coats of the milk paint and it chipped like crazy! Like, half of the paint disappeared! And it didn't stop chipping, even after I thought I took off most of the chips and tried to finish it with the wax. It was just before Christmas and we were having house guests, so I decided just to go with it. We used a table cloth most of the time, but every time I took the cloth off, more paint chips fell on the floor. That got old real quick! In hindsight, I strongly suspect user error - I'm not sure that I mixed the paint correctly and the temperature in the garage where I worked was probably too cold. 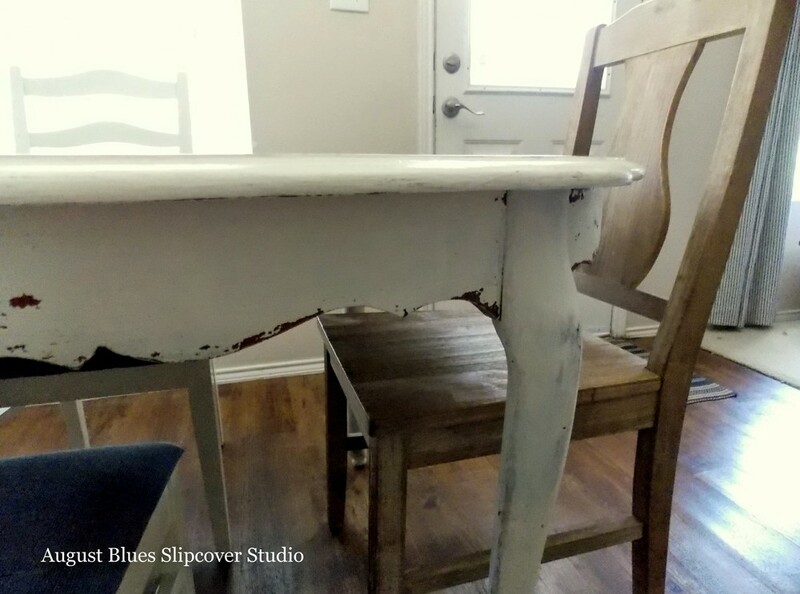 ...And that, my friends, is why I will stick to slipcovers and leave the fancy paint finishes to the experts (well, at least until the painting urge strikes again)! 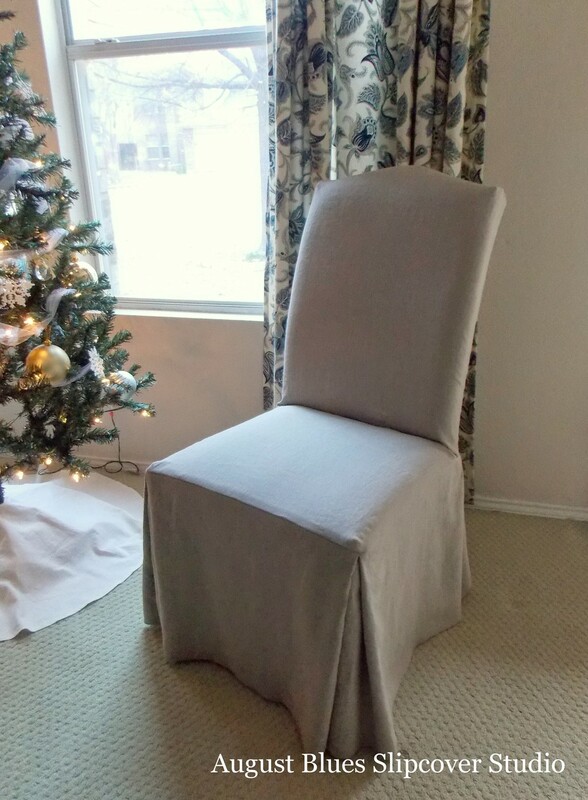 Have you ever tried a project that didn't turn out quite like you expected?